According to Article 15 of the 1996 Constitution: "No person shall be subjected to torture, or to inhuman or degrading punishment or other like treatment." The Constitution provides for the establishment of the Zambia Police Force (and such other police forces as Parliament may by law prescribe).Art. 103(1), 1996 Constitution of Zambia.It is stipulated that "every police force in Zambia shall be organised and administered in such a manner and shall have such functions as Parliament may by law prescribe."Art. 103(2), 1996 Constitution of Zambia. Under the 1996 Constitution, the functions of the Zambia Police Force include the following: to protect life and property; to preserve law and order; to detect and prevent crime; and to co-operate with the civilian authority and other security organs established under the Constitution and with the population generally.Art. 104, 1996 Constitution of Zambia. The use of force to arrest is generally subject to principles of necessity and reasonableness under the 1930 Penal Code Act.Chap. IV, s. 18, 1930 Penal Code Act.That same Act, however, allows the dispersion of rioters including by recourse to lethal force. If upon the expiration of a reasonable time after such proclamation is made, or after the making of such proclamation has been prevented by force, twelve or more persons continue riotously assembled together, any person authorised to make proclamation, or any police officer, or any other person acting in aid of such person or police officer, may do all things necessary for dispersing the persons so continuing assembled, or for apprehending them or any of them, and, if any person makes resistance, may use all such force as is reasonably necessary for overcoming such resistance, and shall not be liable in any criminal or civil proceeding for having, by the use of such force, caused harm or death to any person.Chap. IV, s. 18, 1930 Penal Code Act. Under the 1965 Zambia Police Act, any police officer may use his/her firearm against "any person in lawful custody charged with or convicted of a felony when such person is escaping or attempting to escape" where the police officer "has reasonable ground to believe that he cannot otherwise prevent the escape and unless he shall give a warning to such person that he is about to use firearms against him and the warning is unheeded".Part IV, s. 24, 1965 Zambia Police Act.A Police officer may also use his/her firearm against "any person who by force rescues or attempts to rescue any other person from lawful custody" or who "by force prevents or attempts to prevent the lawful arrest of himself or of any other person" where it is necessary in the circumstances and that there is a danger of grievous bodily harm.Part IV, s. 24, 1965 Zambia Police Act. (iii) the warning given by the prison officer is unheeded.Part V, s. 29(1) and (2), 1965 Prisons Act. The 1965 Prisons Act also allows a prison officer to use a weapon against a person assisting an escape who is using violence where the prison officer "has reasonable grounds to believe that he or the other prison officer or other person ... is in danger of suffering grievous bodily harm. "Part V, s. 29(1) and (2), 1965 Prisons Act. In any event, only the "minimum force necessary in the circumstances" may be used and the use of weapons (which include firearms) "shall be as far as possible to disable and not to kill".Part V, s. 29(4), 1965 Prisons Act. The Zambia Police Public Complaint Commission (PPCC) is a civilian oversight institution established under the Police Public Complaints Commission Act No. 18 of 2016. The main functions of PPCC are to receive and investigate complaints about police actions; and to investigate all complaints against police actions which result in serious injury or death of a person. 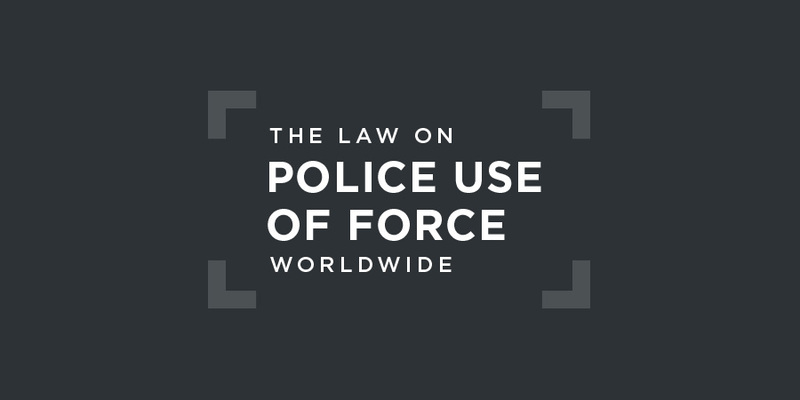 The use of force by Zambian police has not been the subject of recent review by a United Nations treaty body. The use of force by Zambian police has not been the subject of recent review by the African Commission on Human and Peoples' Rights. the country experienced unprecedented levels of political intolerance and violence before, during and immediately after the 11 August 2016 general election. It expressed grave concerns over violent actions of political party cadres and police officers which left several people injured, caused loss of life and property, curtailed freedom of assembly and expression and bred a culture of fear among the electorate and political players. ZHRC commended steps taken by Government to appoint a Commission of Inquiry and recommended making public the finding of this Commission when they become available.